Earlier this year I met Hallbjörn Hjartarson--Iceland's very own cowboy. 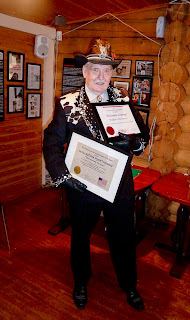 An icon and living legend, Hallbjörn single-handedly introduced and spread country and western music in Iceland. For many years he hosted a festival that brought thousands of Icelanders to the beautiful town of Skagaströnd. 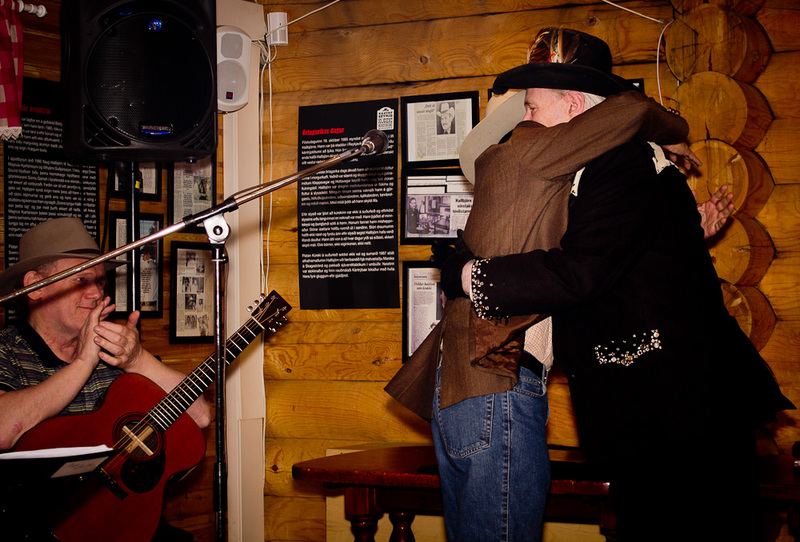 They sang and danced country and western music into the night, and when they couldn't be there, they would listen to it through Iceland's only country and western radio station. Hallbjörn is a pioneer who built bridges between Icelanders and Americans through his music and festivals. He is also a warm human being. 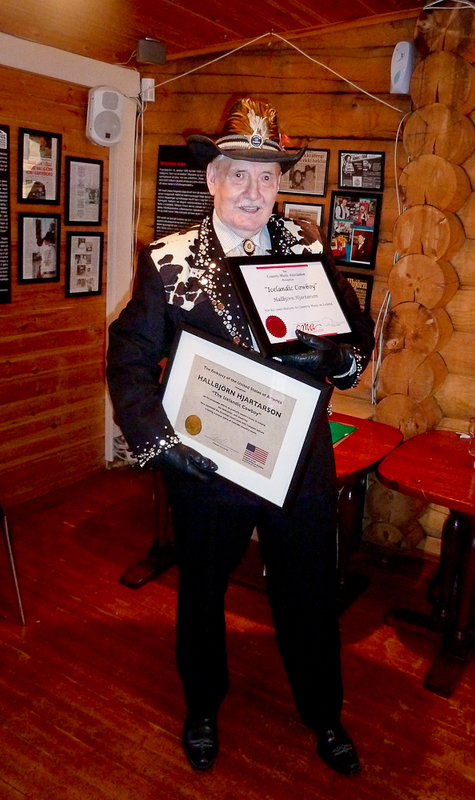 The Country Music Association in Nashville, Tennessee, agreed that Hallbjörn’s contributions should be honored with a special achievement award. I had the pleasure of presenting it to Hallbjörn on September 18 with the whole town of Skagaströnd in attendance along with family and friends. It was a wonderful evening of community, friendship, music, and fellowship. Rounding sheep for the winter months is a quintessential Icelandic tradition that must be experienced. It is an opportunity to see old and new Iceland come together in a very special way. We gathered in Landmannalaugar, the departure point for a caravan of horse riders, sheep dogs, trucks, SUVs, and tractors that moved into Jökulgil, one of the most stunning canyons I have ever seen. Neither vehicle traffic nor camping is allowed in this area except on the day the sheep is rounded. As we moved through the canyon groups of young men and sheep dogs ran far up the hills to herd the sheep to the bottom where horse riders and more sheep dogs would await to collect them and put them into trailers. The sheep herders went so far up the hills that they would become a speck on the hills. As the search parties would climb up the hills, those of us waiting below were treated to the banter among old farmers, whose weathered faces spoke volumes of their lives in the countryside. Icelanders are very proud of their independence and they bow to no king. There is, however, one king they willingly obey and he is called the King of the Mountain (Fjallköngur). The king is the master and commander of the roundup and in the case of the Jökulgil operation, his name is Kristinn Guðnason. The king rode his horse proudly giving orders, rounding sheep, and supervising the whole operation. He also stopped frequently to greet interlopers like myself and to joke around with his lifelong friends. I needed his approval to join the operation. The King of the Mountain holds court. The context of this experience was provided by Ragnar Axelsson (Rax), one of Iceland's top photographers and master narrator of life in the Arctic. Rax has been going to the roundup for the last 23 years and has made it the subject of books and films. His stories about previous roundups and the characters involved provided a level of granularity that made me appreciate the significance of the moment. We have been comforted by and are deeply grateful for the condolences that many Icelanders have expressed for the recent loss of our colleagues in Libya. 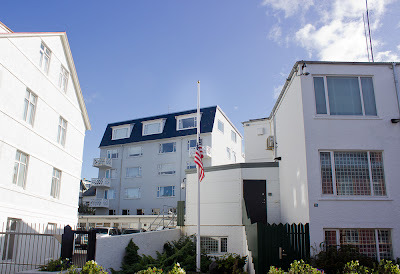 Many of our Icelandic friends also shared their concern about the violent demonstrations against our diplomatic facilities around the world. These expressions of solidarity reflect the deep bonds that exist between our two countries and the values we share. The violent demonstrations appear to be a reaction to the posting of a video that appears designed to denigrate a great religion and provoke rage. We absolutely reject the content and message of the video. Our commitment to religious tolerance goes back to the very beginning of our nation. We know that it may be hard for some people to understand why the United States cannot or does not just prevent these kinds of reprehensible videos from being posted. In today’s interconnected world, this is frankly impossible, but even if it were possible, our country has a long tradition of free expression which is enshrined in our Constitution and our law, and we do not stop individual citizens from expressing their views no matter how distasteful they may be. The violent demonstrations against diplomatic facilities are wrong and nothing justifies them. Diplomatic missions exist to build understanding between peoples. 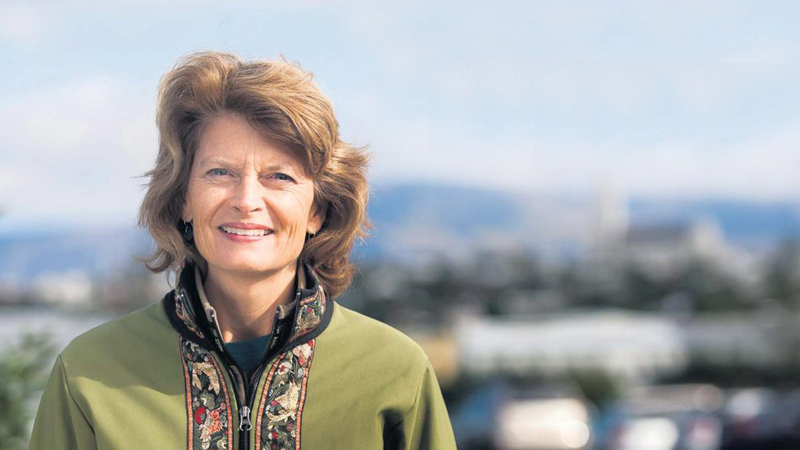 Last week we had the pleasure of welcoming Senator Lisa Murkowski and members of her family to Iceland. While here, she participated in a meeting of Arctic parliamentarians in Akureyri and met with President Grimsson, Foreign Minister Skarphedinsson and several members of the Althingi. Senator Murkowski comes from Alaska and she said Iceland felt a lot like home and the many natural affinities between Alaska and Iceland were clear to her. I had the pleasure of paying a visit to the Song of the Whale, a research ship owned by the International Fund for Animal Welfare (IFAW). The Song of the Whale works around Iceland on a regular basis to conduct and demonstrate the effectiveness of non-lethal cetacean research. We were treated to some of the recordings made by whales and dolphins. 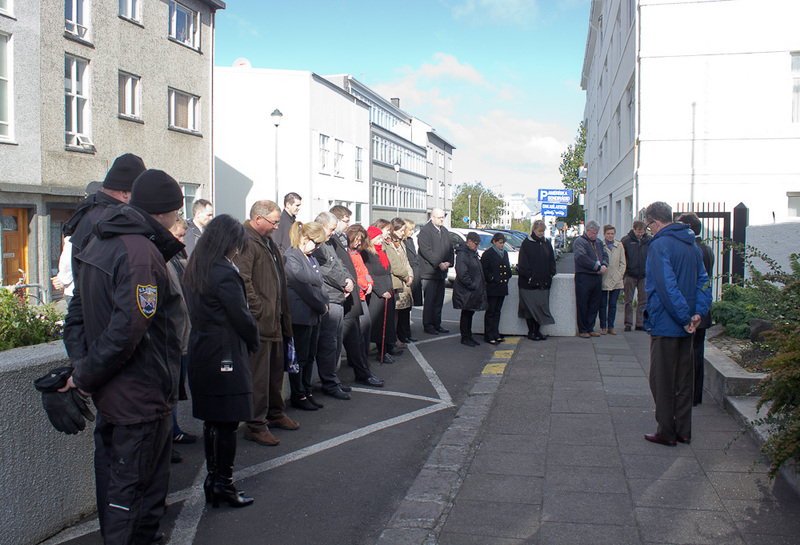 Much of the ship’s work in Iceland is conducted in cooperation with the University of Iceland. originally established in the 11th century, a recently built tower, and the university. The magnificently preserved cathedral countains an exquisite altarpiece from the 1500s, a life size crucifix from the same period, and many other pieces. These items bring to life different aspects of Iceland's history: the reformation, Danish rule, the first printing press and its role in preserving the language, the role of the church in education, and Iceland's rapid ascent in the community of nations since independence. It was my great pleasure to meet Erla Björk Örnolfsdóttir, Rector of Hólar University College, during my visit. The school focuses on aquaculture and fish biology, equine studies and tourism. While the school dates back centuries as an educational institution, it only recently became a full fledged university. It is clear that Erla's energy and creativity is going to make the school into a major institution of higher education. 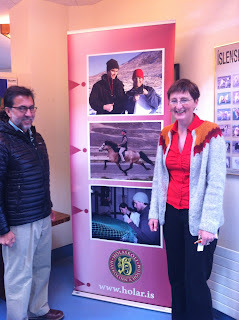 In fact, the school welcomed American scholar Catherine Chambers to conduct a major studies of fisheries in Iceland. I was also pleased to learn that Erla is a fan of country and western music, which she picked up at while earning her PhD at Texas A&M.